Hardcover, 9.25 x 11.5 in. / 96 pgs / 74 color. 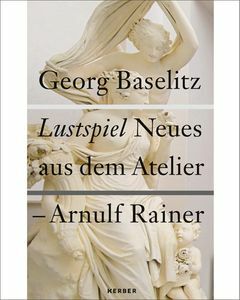 This catalogue juxtaposes recent works by two towering figures of contemporary German painting: Georg Baselitz (born 1938) and Arnulf Ranier (born 1929). Although Ranier’s overpainted reproductions of landscapes and classical portraits differ in style from Baselitz’s abstract gesturalism, the work of both artists share a vivid palette and an infectious joie de vivre. Published for an exhibition at the Arnulf Rainer Museum in Baden, this volume celebrates their mutual qualities of comedic vitality. 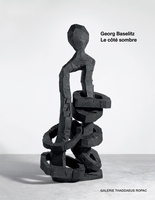 The works reproduced here date from around 2008 to the present, and range in character from warm, messy, de Kooningesque abstraction (Baselitz) to luminous, bold overpaintings of art historical reproductions and old photographs (Rainer)--all exhibiting an insistent freshness and freedom. FORMAT: Hbk, 9.25 x 11.5 in. / 96 pgs / 74 color.